In recent years, voters across the nation have proven they are willing to approve major infrastructure initiatives if they include public transportation, bicycling, walking, and trails. Tuesday we saw that the trend holds true in Missouri as well: Kansas City voters passed a $600 million "Complete Streets" bonding package by an overwhelming marging, and St. Louis voters approved a half-cent sales tax for MetroLink expansion and other infrastructure improvements. For years, Kansas City residents have pleaded for better roads, bridges, sidewalks and flood control. On Tuesday, voters put those community priorities ahead of individual pocketbook concerns and approved a massive, $800 million infrastructure package and the property tax increases to help pay for it. Missouri's municipal elections are being held across the state on Tuesday, April 4th, 2017. So whatever your party, whoever your candidates, whatever your issues, please get out and VOTE on Tuesday, April 4th. Cities across Missouri have started to make a practice of including important walking, bicycling, and trails projects and maintenance in their regular capital funding and bonding proposals. But--until now--Kansas City, Missouri, never has. After many months of work by citizens, community leaders, city staff, and elected officials, Kansas City has a very important capital improvement bonding proposal on Tuesday's municipal elections ballot. And thanks to the work of BikeWalkKC advocates, working together with supportive citizens, staff, and elected officials, the proposal takes a step that Kansas City has never taken before: It gives very strong support to the city's long-neglected sidewalks, bike lanes, trails, and other basic infrastructure used by people who walk, bicycle, and use transit. For about the past year, the Missouri Bicycle & Pedestrian Federation has been talking with MoDOT and local citizens in the Louisiana, Missouri area about including bicycle and pedestrian accommodation on the new Champ Clark/Hwy 54 Bridge across the Mississippi River. We don't want to build a major new river bridge in Missouri and leave out needed accommodations for people to walk and bicycle across the bridge safely. And, as we have found in communities across Missouri, local support for safe walking and bicycling access on the new bridge is strong. Are pedestrian and bicycle facilities a good investment? Cost is the issue that comes up over and over in talking about pedestrian and bicycle accommodations on bridges like this. Bicycle & Pedestrian Day at the Capitol in Jefferson City is April 10th--coming up soon. 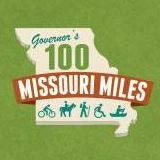 This year we have a new governor, new administration, and many new legislators who need to be educated about the importance of bicycling, walking, and trails to Missouri. Your personal visits at Capitol Day are by far the best way to do this. Every March a delegation of bicycle and pedestrian advocates from across Missouri go to Washington, DC, for the National Bike Summit. We spend a couple of days meeting with other advocates from around the country and sharing ideas and best practices. A very important development this month in southwest Missouri: Local communities and regional planning organizations are working together to create a regional bicycle and pedestrian plan. If you live in the area, you can join a public meeting in Pineville Monday, March 6th (details below). If you live outside the area but have an interest in the regional bicycle & pedestrian plan, please complete the online survey. The most immediate and exciting possibility is to extend the Razorback Trail north to Jane and Pineville. However, regional planners are using the opportunity to create a truly regional bicycle, pedestrian, and trails plan. Will it be possible to continue the Razorback Trail connection up north through Anderson and potentially the Neosho and Joplin areas? Can existing area trails be connecting into a single seamless network? Are regional, statewide, and national bicycle touring routes through the area possible? Is it possible to connect trails and routes in the four-county area to planned and existing trails and routes in surrounding areas--such as those in Nevada and Springfield. A new bicycle and pedestrian crossing of the Missouri River--long under discussion and study--is finally underway in St. Charles and St. Louis Counties. Engineering and design is now moving forward on the project, which is fully funded. The project is a collaboration between the cities of St. Charles and Bridgeton, MoDOT (which owns/operates the bridge), Great Rivers Greenway, and others. The Discovery Bridge carries Missouri 370 across the Missouri River between St. Charles and Bridgeton. 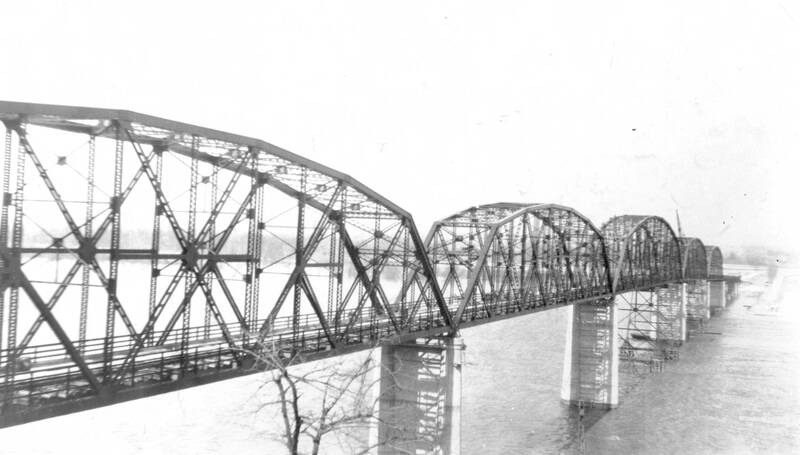 It is one of six Missouri River Bridges in the greater St. Louis region. As one of the most logical and direct connections between two highly populated counties, bicycle and pedestrian access across the Discovery Bridge has long been under discussion. UPDATE 16 February 2017: Success! Great Rivers Greenway and County Councilman Ernie Trakas continued discussions about the trail--spurred on by the many messages and phone calls St Louis County officials received in support of it. Kansas City's Riverfront Heritage Trail recently reached a major milestone and completed the vision for that trail that was set out in the late 1990s. The trail, which has been under development for two decades now, has finally created a seamless connection between downtown Kansas City, Missouri, downtown Kansas City, Kansas, and historic Kaw Point, where the Kansas and Missouri Rivers converge, and where Lewis and Clark camped in 1804. The trail bridges two states, three counties, three cities, and two major rivers. The trail takes pedestrians and cyclists across numerous difficult barriers, including cliffs, many sets of railroad tracks, multiple complex interstate freeway interchanges, local roads, and the Kansas River. The trail links to Berkeley Riverfront Park and the Bob Watts Memorial Bike/Ped Path on the Heart of America Bridge, which crosses the Missouri River to give North Kansas City a connection to the trail, as well. The trail includes numerous park areas, works of art, light fixtures, and other amenities designed to improve both the trail and the neighborhoods it passes through. We are just in the third week of Missouri's 2017 legislative session, and already we have seen a number of bills introduced that are important to people in Missouri who walk, bicycle, and use trails. Another major issue, returning for 2017, is state transportation funding. Missouri's dramatic underinvestment in transit, walking, and bicycling harms the ability of our communities, large and small, to compete in today's global marketplace--but all proposed solutions address highway funding only. Below is a summary of all pedestrian bicycle, and trails-related bills currently in play in the Missouri House and Senate. Bookmark this page--it will be continually updated as the 2017 Legislative Session progresses. A major issue in 2017, and a major concern of our members, is state transportation funding. In the news we hear about a chronic shortfall in road and highway funds for MoDOT. The Missouri Bicycle & Pedestrian Federation has been part of a national coalition of groups that have been working to ensure that walking and bicycling were included in proposed Performance Measures for our national transportation system. The danger was that the measures would focus on, and support, only motorized transportation. That would mean that federal policy and funding would all move in that direction--towards support of motorized automobile travel only, neglecting public transit, walking, bicycling, trails, and other transportation options. The end result would be to deny these legitimate transportation modes their fair share of federal transportation funding. Federal policy sets the standard for state and local spending, so the effects of the new policy will cascade down to affect nearly every transportation project in the country, for multi-lane high-speed freeways to neighborhood sidewalks.